With technological and social media advancements today, the days of selling products and services to faceless customers are over. Your customers need to know about you, as they get to know about your products and services. Small business owners stand to gain a lot by letting their customers know them a bit more intimately, by engaging them on blogs, forums and social media. There are several ways in which you can focus on people to boost your sales and here are some of them. This is one of the best ways to talk to your customers about your products. When you educate customers on issues relating to your product or service, they start to identify themselves with you, and they become your long-term buyers. If you are selling organic products, then blogging about the benefits of organic products is one way of focusing on your customers. Engage them when they place comments on the blog posts. This fosters a close relationship that will boost your sales. There are various ways in which you can leverage social media to get closer to your customers. The different ways in which information is disseminated on these platforms creates a fantastic avenue for focusing on people. When you post on social media, make sure that you reply to comments and offer great advice about your products and services. People love this personalised approach to their comments and will reward you by becoming your loyal customers. This is one aspect that most business owners take for granted. You need to think about the personas that you are targeting in your business. Learn what makes them feel emotional about things and then meet that need. In marketing, the creation of personas has helped businesses target their marketing efforts for better results. You should also think about doing the same. Many times, customers will walk away from your site if you do not have information optimised for them to go through smoothly. You should consider having your site overhauled to ensure that it gives people a great user experience. Your website should also be optimised for mobile devices. Most online shopping is done on mobile devices and not laptops and computers. When your site is optimised for mobile devices, your sales will improve as people buy when they are on the go. It is tough for you to understand issues from their clients’ point of view. 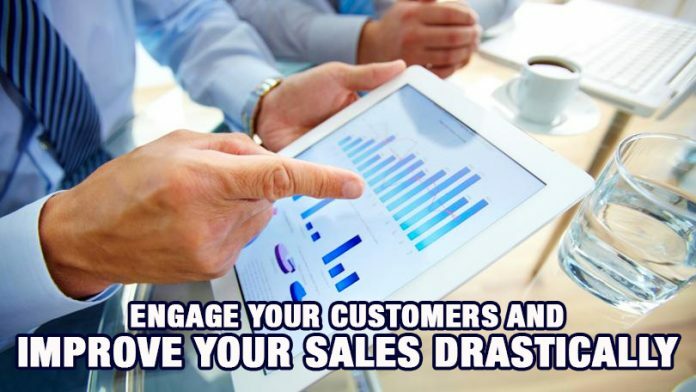 To do so, carrying out customer surveys is crucial to your business. Let people tell you what they like, or don’t like about your products and services. It only takes a small thing to drive out a large number of customers, especially if it is not remedied. When you analyse the results of a customer survey, you know where your biggest efforts need to be directed, and customers will reward you for listening to them. When you use pictures or video to interact with your customers, make sure that they are appealing to them. Videos are a great way bridging the business owner-customer divide. They can finally put a face to the business, and this fosters a closer relationship. You should also use good pictures for your portrait to let people like you as a business owner before they even start liking your products and services. Video and images are a quick way of telling your customers something that would take longer to read. It has been proven that people would rather watch a video and not read a long post. If you are great at communicating, use this skill to post videos about your products and services. All businesses are about getting clients or customers to buy products and services. In the B2C sector, focusing on people plays a large role in how successful your business will turn out to be. It is the time that you put some people-centric measures into your business practices to get more customers.